A new national concealed carry reciprocity measure introduced in Congress this week has gained quick support from gun rights organizations. Congressman Richard Hudson’s H.R.38, the Concealed Carry Reciprocity Act of 2017, has more than 60 co-sponsors. Hudson, a North Carolina Republican, introduced similar legislation two years ago. It comes as the national surge continues for concealed carry, with the number of licenses and permits exceeding an estimated 15 million. Arizona reported 299,680 active carry permits to wrap up 2016. In Washington, the state Department of Licensing reported 571,476 active concealed pistol licenses, a hike of 4,791 new CPLs issued in December and a total of 61,898 licenses issued for the whole of 2016. Oregon State Police told CFL that as of Dec. 1 of last year, there were 249,260 concealed carry licenses in the Beaver State. 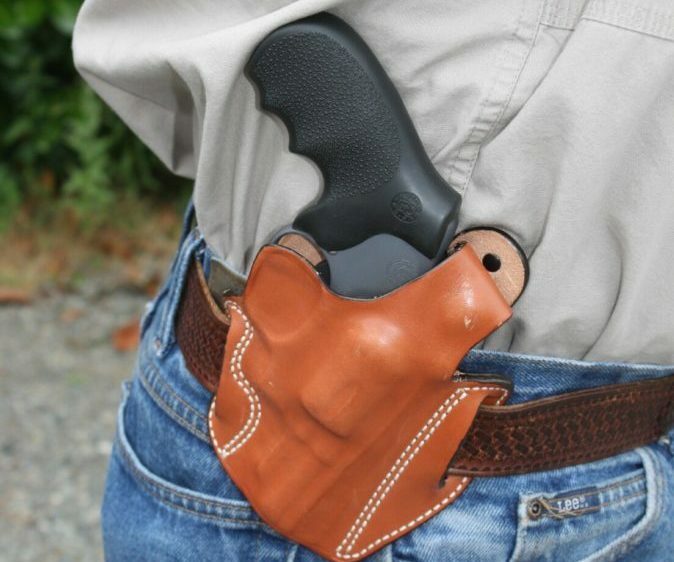 Indiana has more than 776,000 carry permits. President-elect Donald Trump mentioned more than once during the campaign that it made sense for a concealed carry permit/license issued by one state to be recognized by all the other states, same as a driver’s license. “Our Second Amendment right doesn’t disappear when we cross state lines, and this legislation guarantees that,” Hudson said in a prepared statement. The bill, which covers six pages, allows concealed carry in National Parks and National Wildlife Refuges, and on lands administered by the Bureau of Land Management, Army Corps of Engineers and Bureau of Reclamation. It provides certain legal protections in both civil and criminal cases for legally-armed citizens. All this is happening on the heels of a record year for FBI background checks, suggesting not only a good year for gun sales but also the rising interest in concealed carry, for which applicants must pass a check. Last year, according to the Washington Free Beacon, the FBI conducted more than 27.5 million NICS checks. That’s up more than 4 million checks over 2015, according to FBI data. Legally-armed citizens fight back, even in Chicago!